I read this article and found it very interesting, thought it might be something for you. The article is called Design: Virtual Vaults and is located at https://www.totallydublin.ie/more/design-section/design-virtual-vaults/. The pace of technological change is an obsession of our times, and no change has been more constant or marked than that of communication technology. The means by which we understand our world – and articulate our views of it – changes at an ever-increasing rate. Even within generations, it can be hard to keep up. A time-travelling visitor from Dublin of 50 years ago might reasonably be expected to find familiar touch points in our means of transport, the buildings that we inhabit, even in the clothes that we wear. Ask anyone over 35 to show you how Snapchat works and you might be faced with more immediate confusion. Graphic design is the means by which we can visually articulate ourselves in this evolving landscape of communication. And so it follows that graphic design practice and output are in a state of near continuous flux. This has meant that outcomes of contemporary practice are less likely to be physical artefacts than they would have been in the past. And in many cases these outcomes are designed to last only for a short time. For the past five years, the 100 Archive has taken on the challenge of documenting the landscape of graphic design itself. It aims to be the broadest and most inclusive record of graphic design work made in Ireland and by Irish people around the world. The 100 Archive was established by four independent Dublin-based studios; Aad, Atelier, Detail and the studio I co-founded, WorkGroup. Drawing on the participation (and generosity) of the graphic design community here, the archive has put in place a two-stage peer review process that has delivered seven Archive Selections. Each selection contains 100 graphic design projects, large and small, which together create an impression of design here in any given year. The work is accompanied by a lively and ongoing articles series which over time has also given context to the work. 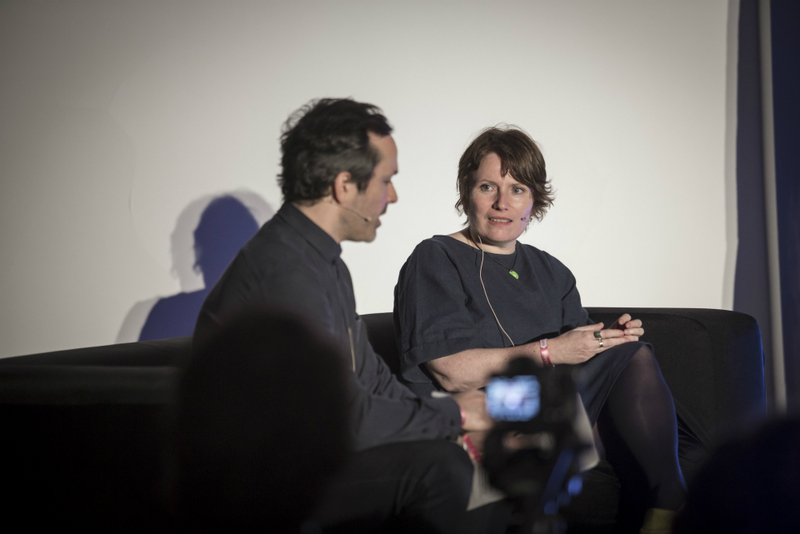 At November’s Future conference in the RDS, participants were invited to speculate on the future of media and design from a variety of perspectives. 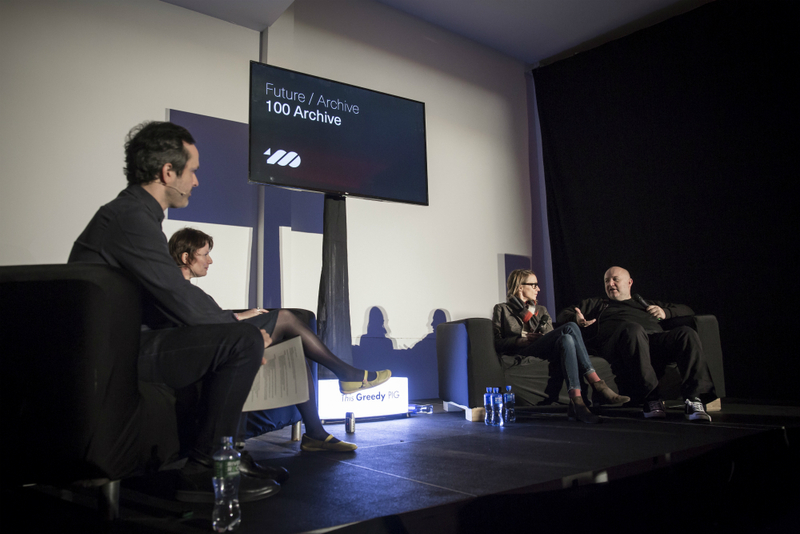 As part of the event I chaired a discussion on behalf of the 100 Archive between leading graphic designers and archivists. I wanted their view on how we might document graphic design work in this ever changing context. Also for discussion was the impact that dissemination and documentation has on the work itself. 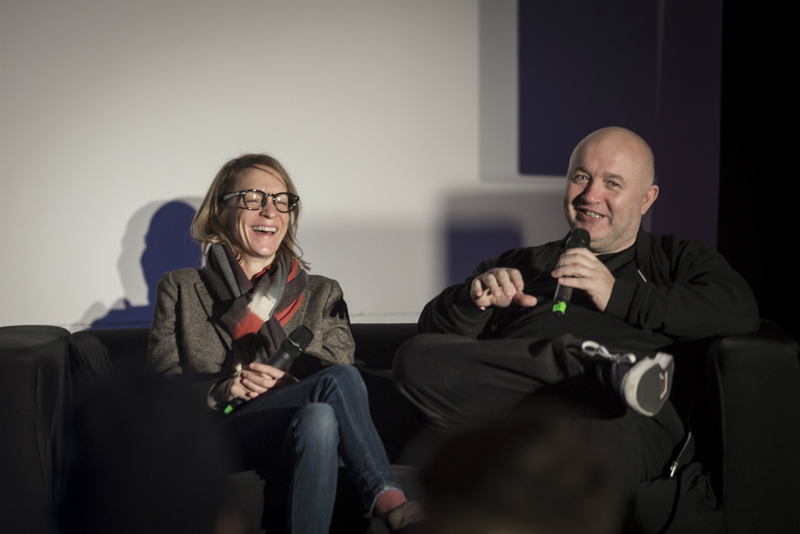 I was joined by Astrid Stavro (Atlas, Spain) and Tony Brook (Spin, UK) — both are co-founders of internationally-regarded graphic design studios who work with high-profile clients in and beyond their localities. In addition, Brook is the co-founder of Unit Editions, an imprint with an impressive and extensive range of titles relating to graphic design practitioners and outputs. Also on the stage was Joanna Finegan from the National Library of Ireland’s digital collections. The team of which she is part is in the process of building an Irish National Web Archive. 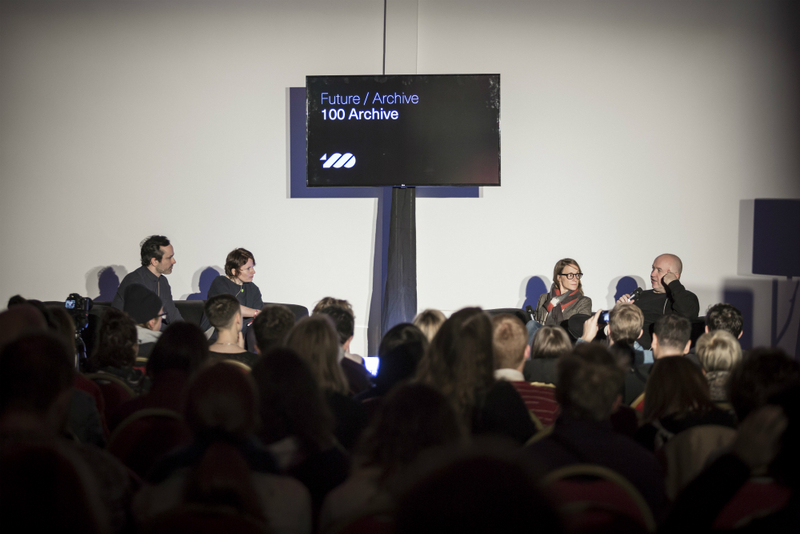 The 100 Archive will be working with that team in the near future, feeding into their selection process and helping to promote best practices for designers in preparing their work with a view making it archive-ready. When it comes to the dissemination of work, and promoting graphic design, the web has been transformative. I asked the panelists where did they see their work having the biggest impact, or the biggest engagement? The answer was unanimous: Instagram.